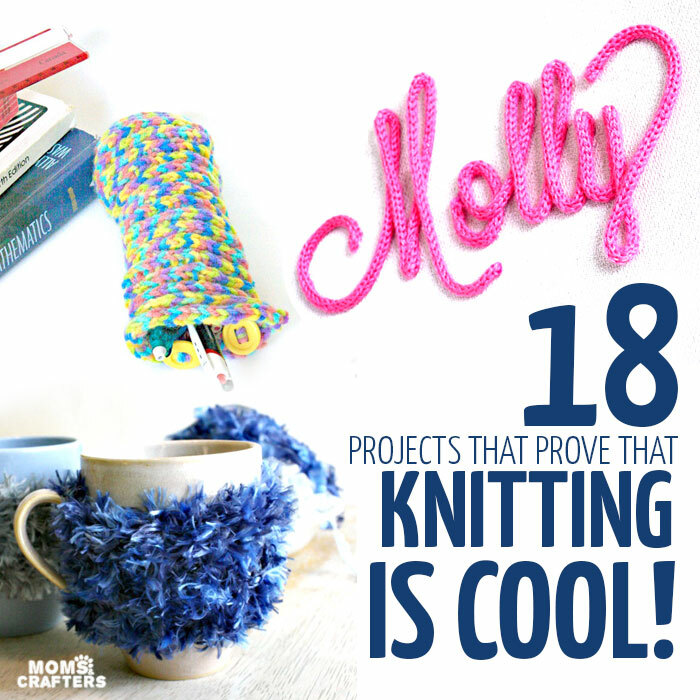 Here’s one for the teens – you’ll just love these 14 cool crafts for teens from some of my favorite bloggers out there! These teen crafts totally rock and are also quite simple to make. 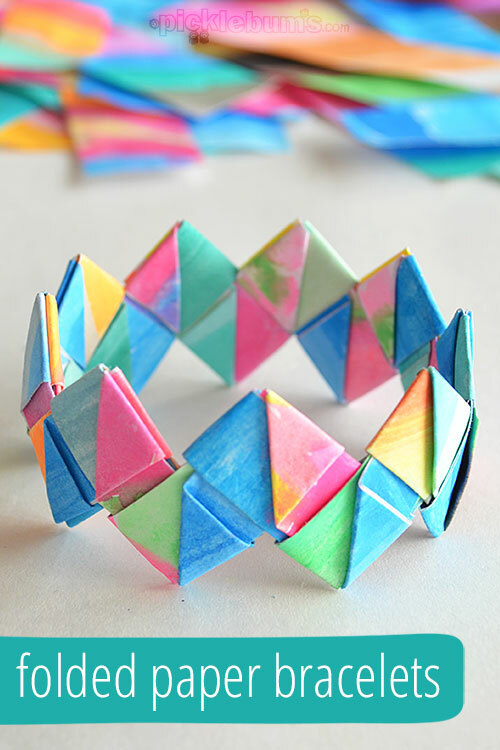 These make great crafts for tweens too (which basically means young teenagers) so enjoy! Disclosure: this post contains commissioned links. It’s difficult to be a teen and be so misunderstood by the world. Whatever it is that’s frustrating at the moment, having a creative outlet can help. I started crafting in my teens. 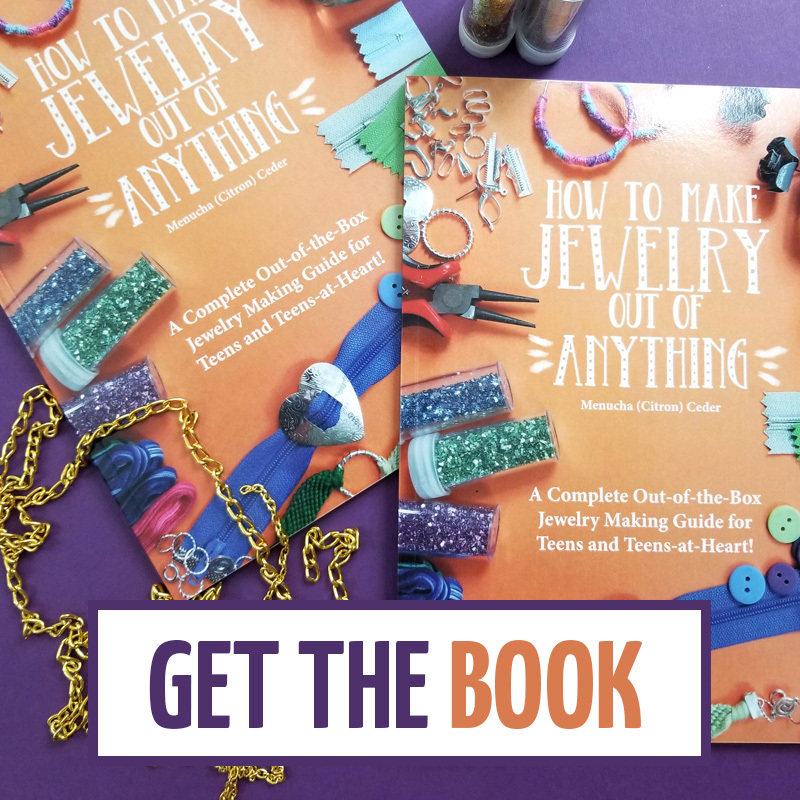 I first began scrapbooking and then went on to jewelry making, which I still do today. These crafts gave me a positive feeling about myself that boosted my confidence. From a parenting perspective, crafts for teens are a great way to keep teens from being bored. Boredom leads to trouble. And positive entertainment can help occupy your children in a beneficial way (for them). As a “tribute” to the crafts that so benefited me then, I’ve put together a list of crafts from different bloggers that I feel are appropriate for teens and tweens. 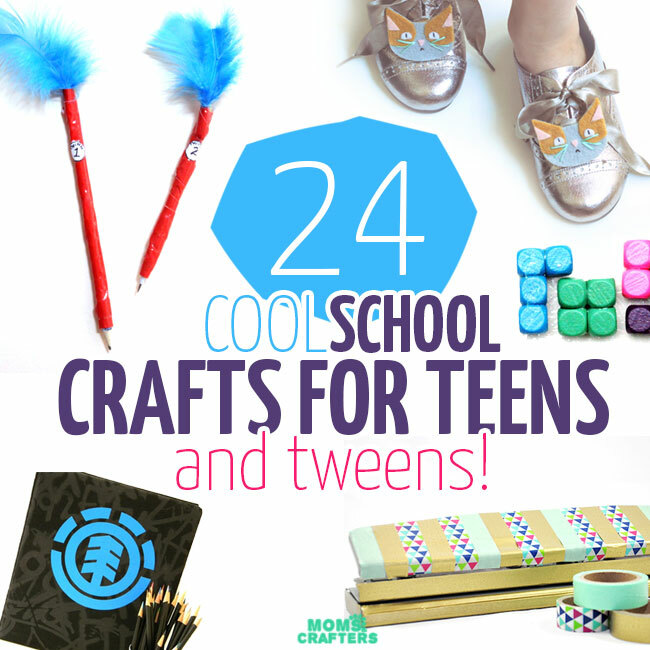 You can find more ideas in my teen crafts category, but here are a few to get you started. I hope you enjoy! If you’re looking for something even more educational, check out my list of crafts for teens to make and sell – with some tips for doing so! Please visit the links of each one for instructions. Once you’re there, leave a comment thanking the blogger for putting in the work to put together the craft. And don’t forget to share this post! All of the images for the crafts for teens below were used with the permissions of the respective bloggers for the purpose of this post. Click on the title link or image for the full tutorial. I have created a square and vertical image for your convenience for sharing these teen crafts. Please use the first or last image in this post when sharing and not one of the individual photos below, out of respect for the creators’ copyrights. As a teen, I collected papers. Okay, who am I kidding? I still do today. I have a nice envelope of scrapbook paper. I used to collect wrapping papers as well. Cardstock, magazine pages, and Kraft paper are all great for crafting as well. 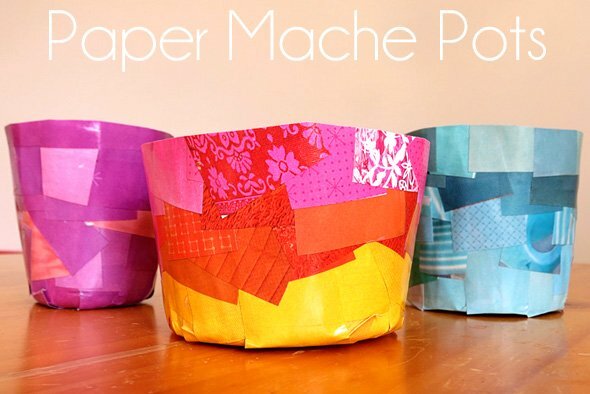 Check out the following crafts that use paper. This frame will brighten your teen’s room. 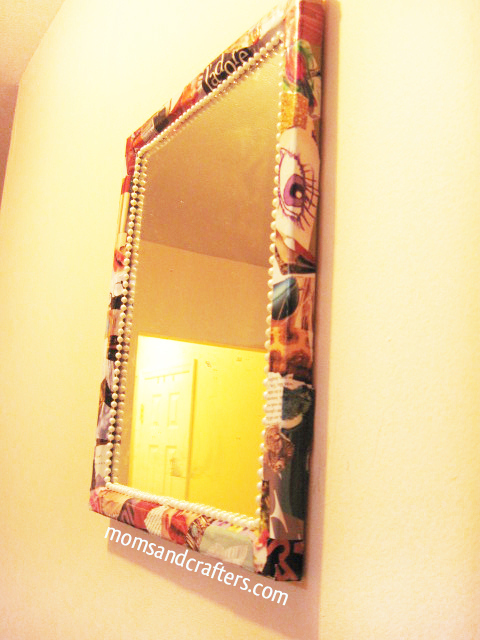 It’s made from pages of an Elle magazine, and can be done on a cheap mirror, making it a low-cost craft. While this craft was originally made with young children, I think it’s great for teens as well. Match with solid color paper and make greeting cards or scrapbook pages. Click the link above for the technique. These are so fun for collecting accessories on a dresser! It’s a great use for pieces of scrapbook paper left from projects, or wrapping paper. These are more for fun than function but your teen will probably want to make loads of them, using the creative folding technique. 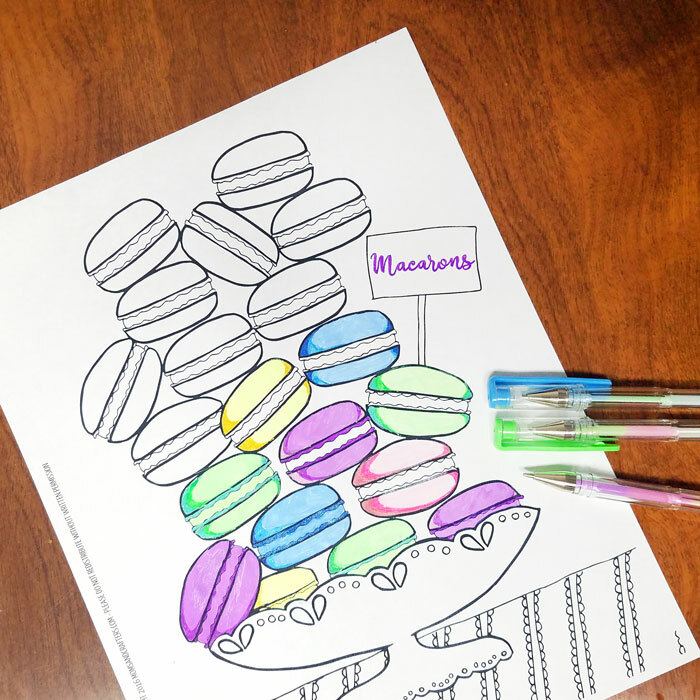 Coloring for grown-ups is perfect for teens too! Check out my fun and free coloring pages for grown-ups here or shop my books and printables here. 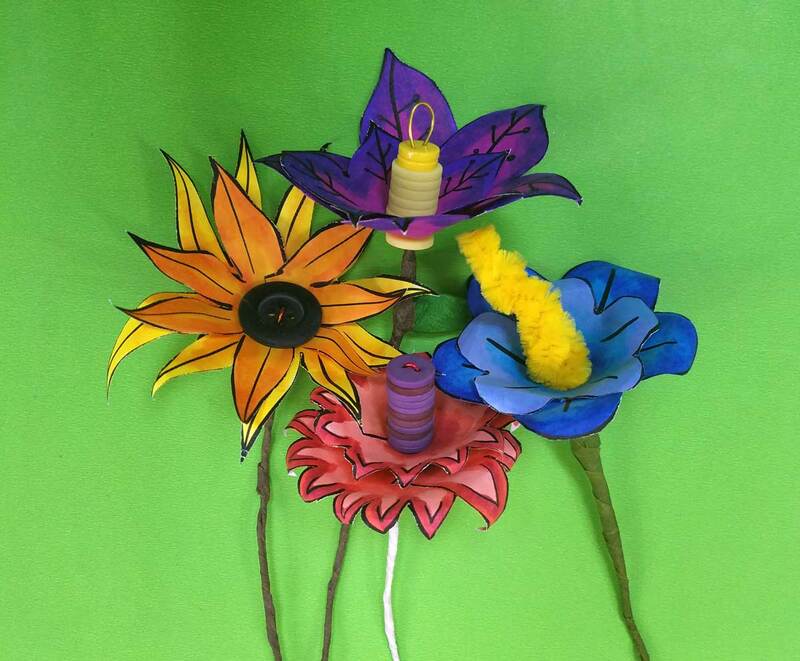 This unique paper flower craft can be colored and then crafted and is a really fun craft for teens! When it comes to crafts for teens, keeping it open-ended is a great way to go! 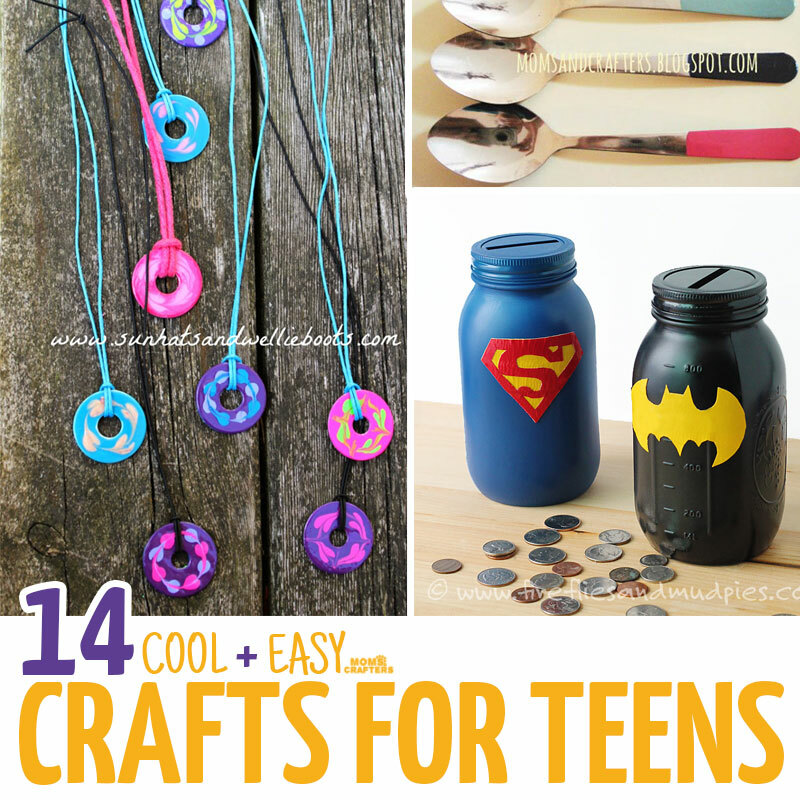 Check out these crafts for teen boys too! 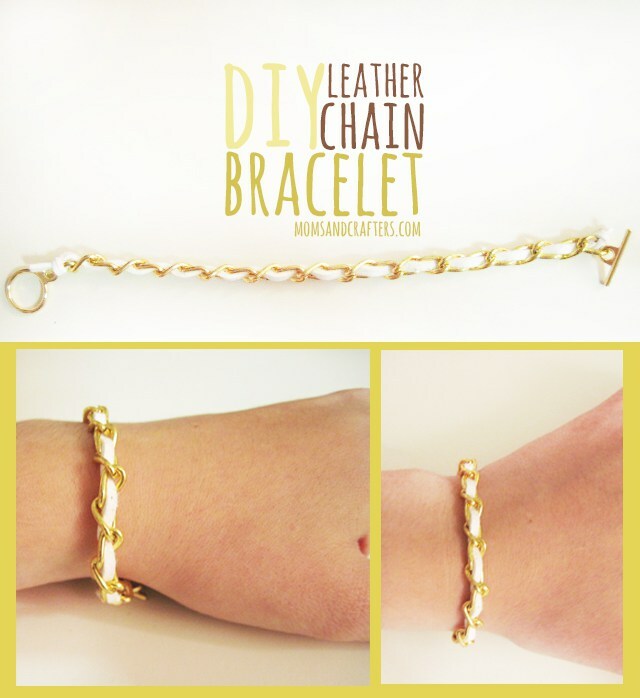 This bracelet requires only three basic supplies, and two inexpensive tools. The result is so professional. It can be mixed and matched to fit any personality, by swapping out the textures or colors of the cord, or by using a different chain. These jeans are amazing! 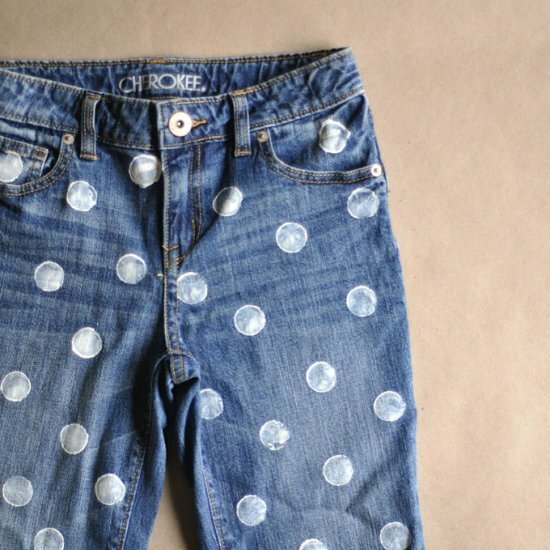 And they’re a great way to re-purpose jeans that got a small stain. 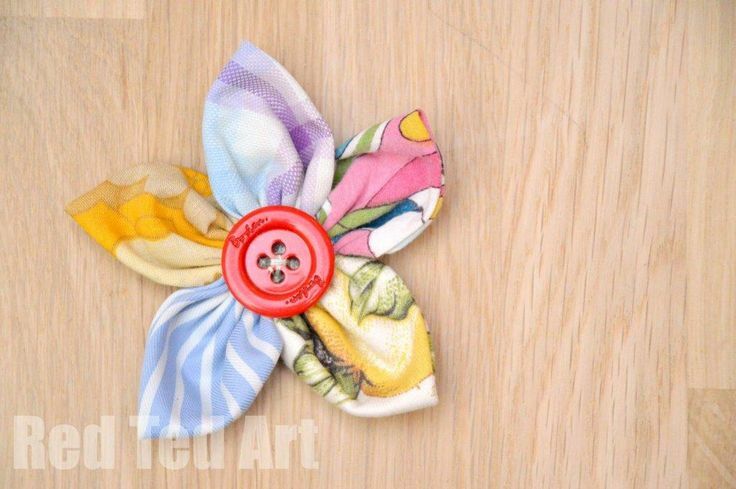 Fabric flowers are so versatile and can be used anywhere – to spruce up a handbag, as a hair clip, as a shoe clip, or anywhere…. Different fabrics will lend different personalities, all using the same technique linked to above. Which teenage girl doesn’t love fun, colored enamels? But sometimes they get old and sticky, the quality doesn’t meet her needs, or the color simply isn’t a favorite. 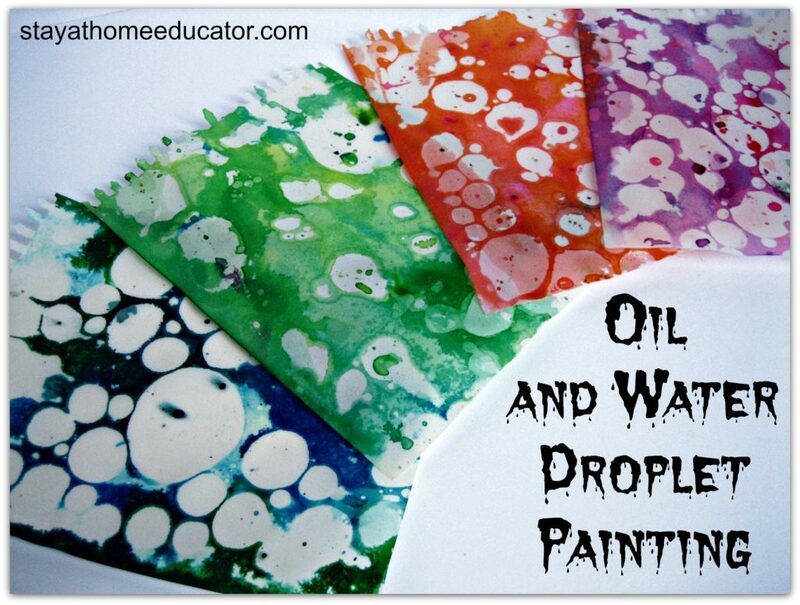 Using these for crafts for teens is a great way to salvage them. Make sure you make these in a well-ventilated area. 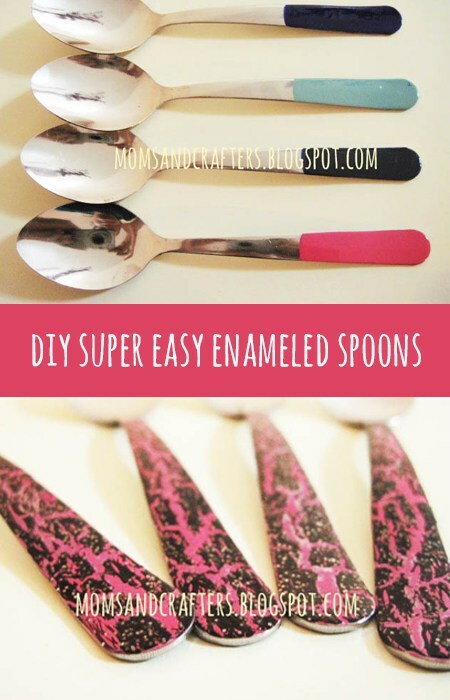 Your teen might not have what to do with these spoons, but they’re such fun to make, she’ll definitely be happy to do some for you. And she’ll glow when the guests compliment you on the spoons… that she made! 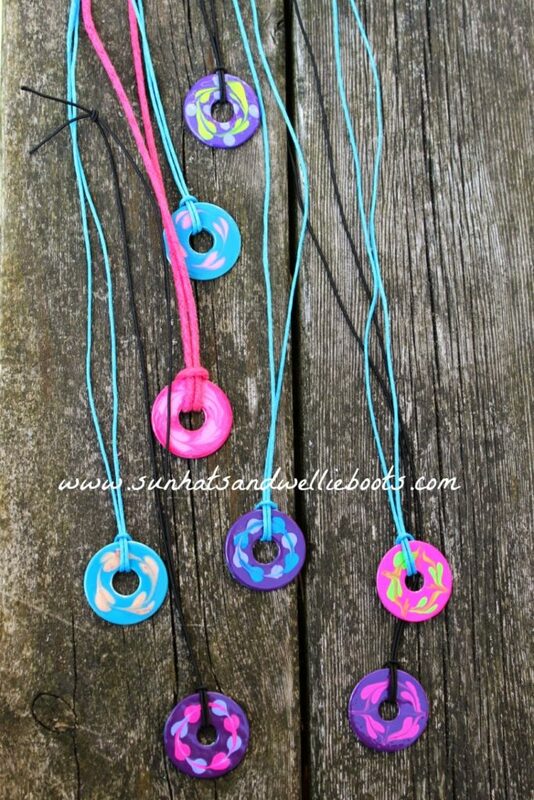 These washer necklaces require super cheap supplies and are great for distributing to friends. They make perfect friendship necklaces! 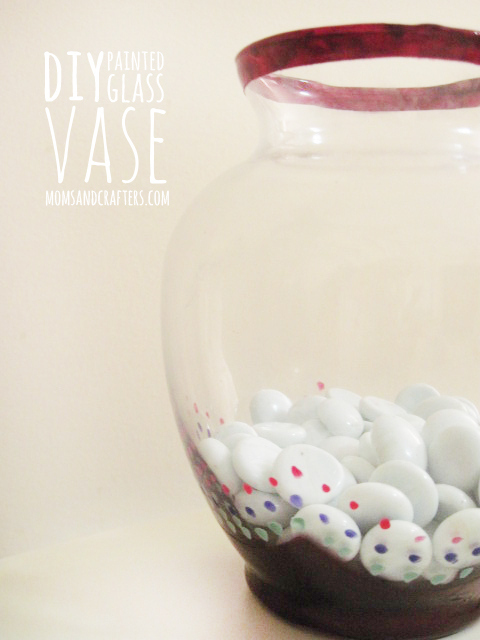 Your teen can use this technique on any glass bowl to adorn the dresser and collect trinkets. Update: see the full list of nail polish crafts here! Some crafts don’t fit into any special category but they’re too cool to leave out! All of the above are clearly targeted toward the girls in your life, but this one is geared toward guys. Although, to be honest I would love these too! Try it with a re-purposed marinara jar! Read the tutorial for the how-to. 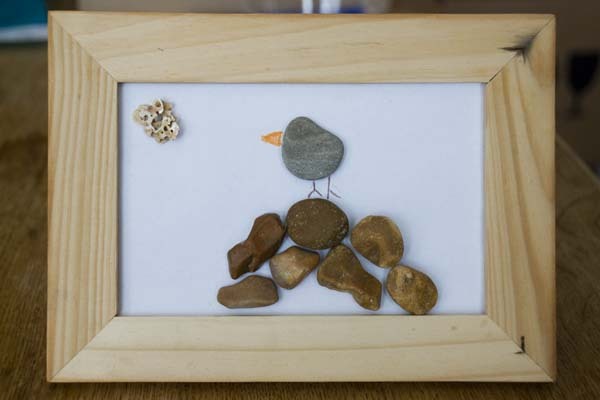 This pebble art is so adorable – I’d definitely hang it in my house! Riddle: What’s cooler than Washi tape? 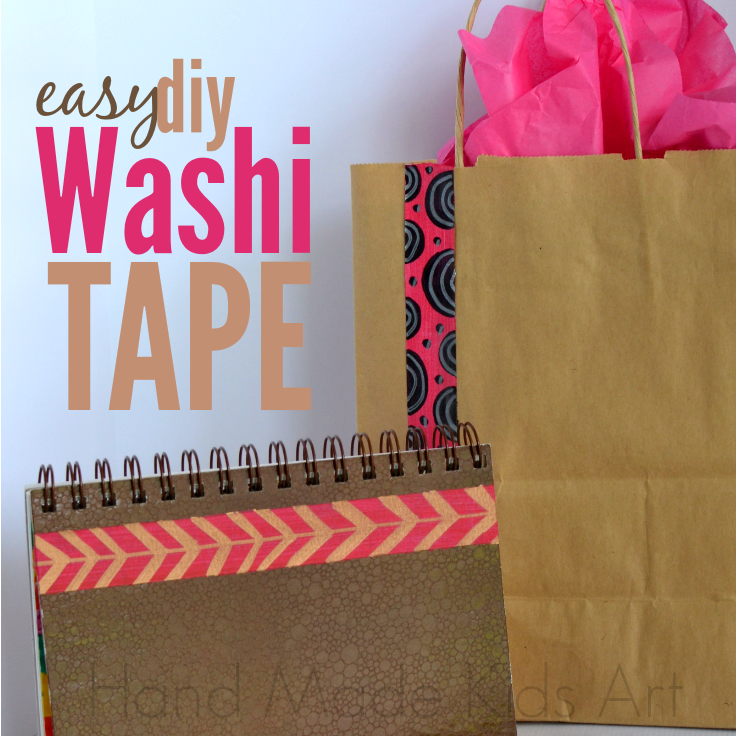 Washi tape that you designed! 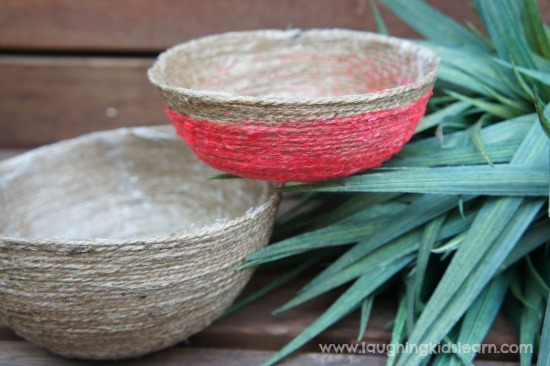 This natural looking string bowl is so beautiful, I’d definitely display it in my home! Or it can also serve as a dresser-top trinket bowl. Which one are you going to make? 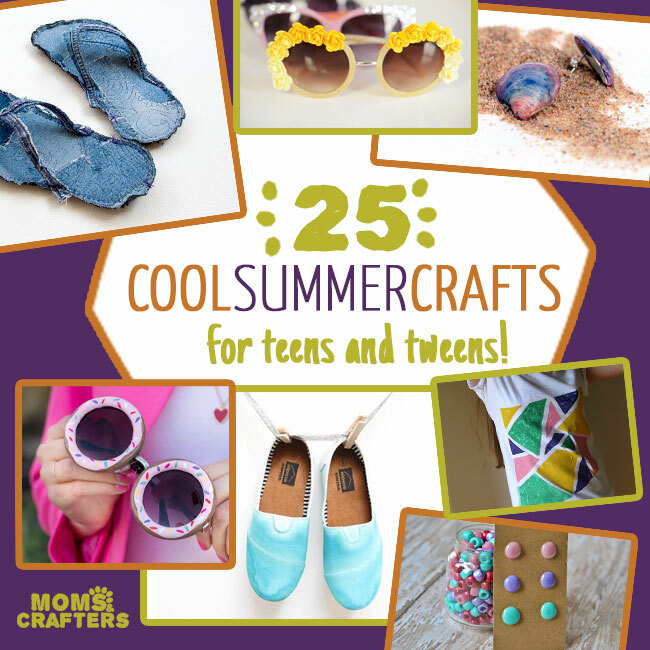 Do you have any cool crafts for teens you’d like to share? Tell us in the comments below! 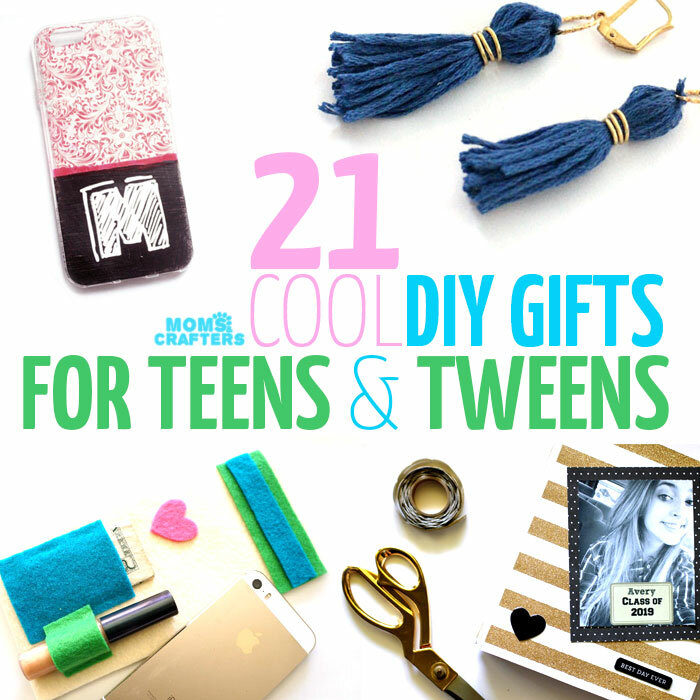 Update: Since you all loved this roundup so much, I’ve made another – check out 23 more cool crafts for teens here! Zillions more teen crafts to try! 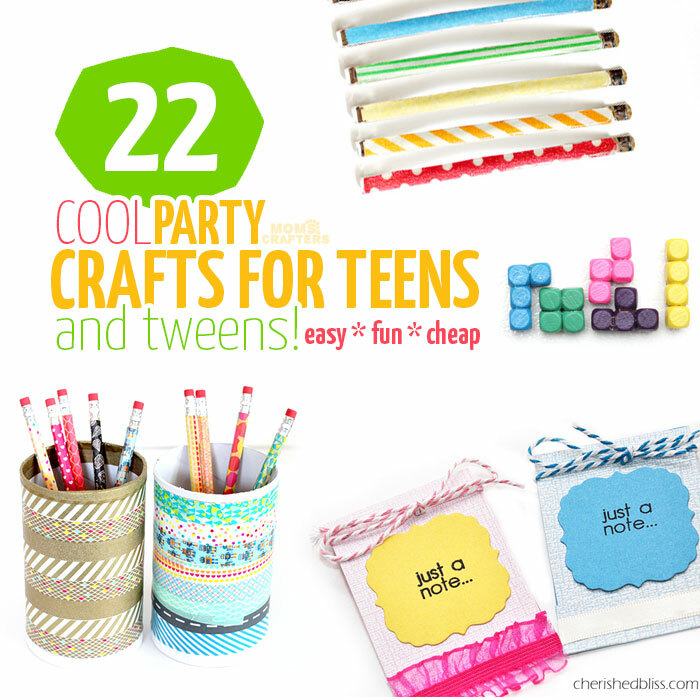 Crafts for Teens, Tweens/Teens. Bookmark. DIY Clay Candle Holders that look like Hammered Metal! Pft, teens? I’m in my mid-20s and I want to do all these haha. Totally going to try some of these, thanks!! They look awesome! I’ll share them with my “almost-teen” sister too! I loved this post. My oldest grandchild will be 11 this week, and I have 7 more, ranging from 7 to 1mo. This was great to find some crafts I can do with the oldest, and some I think I can bring down to the 7 yr old and my two 5 yr olds! Thank you! Pinning! 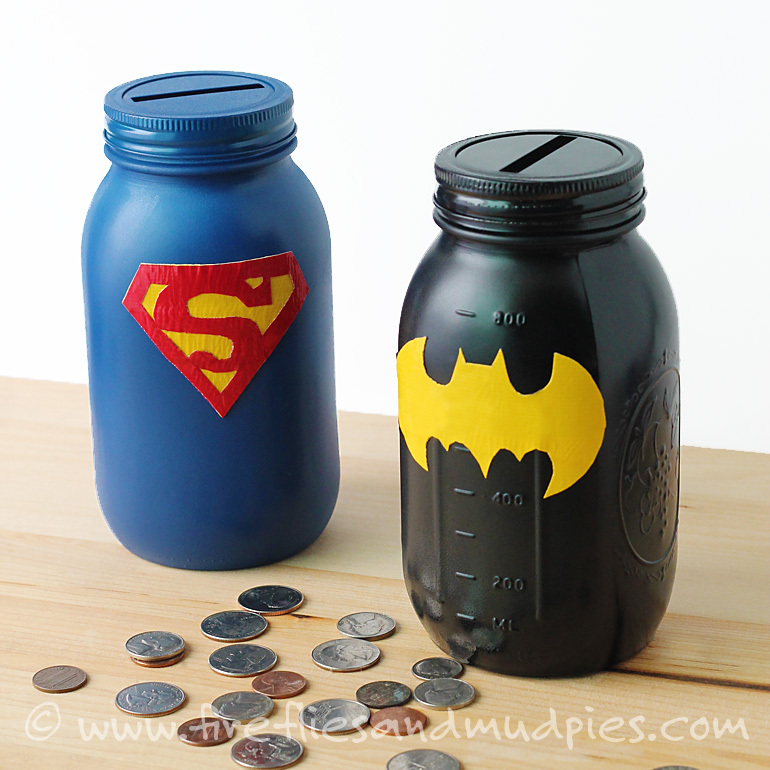 My oldest are not quite teenagers yet, but they’ll love these ideas! These ideas are so cool! I’m definately going to do the jeans painting one. I like the frame too. Hi! I’m not in South Africa but a fellow crafter from there says “PNA has great stuff or even Crazy store” – you can see if you can look those up.